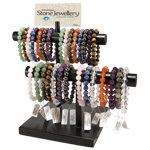 This two-tier handmade wooden display features two styles of bracelets made from gemstones and spiritual symbols. 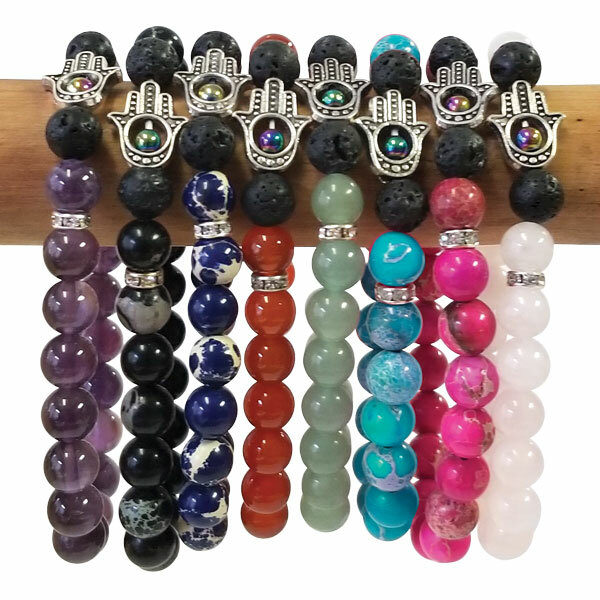 Hamsa bracelets are stretchable bracelets made with a featured gemstone such as imperial jasper, amethyst, rose quartz, green aventurine and carnelian. 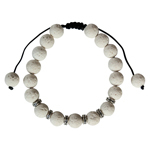 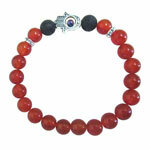 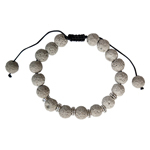 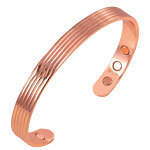 The bracelet also includes lava stone, metal spacers and features a hamsa hand with a small bead inside. 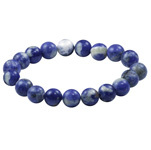 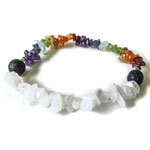 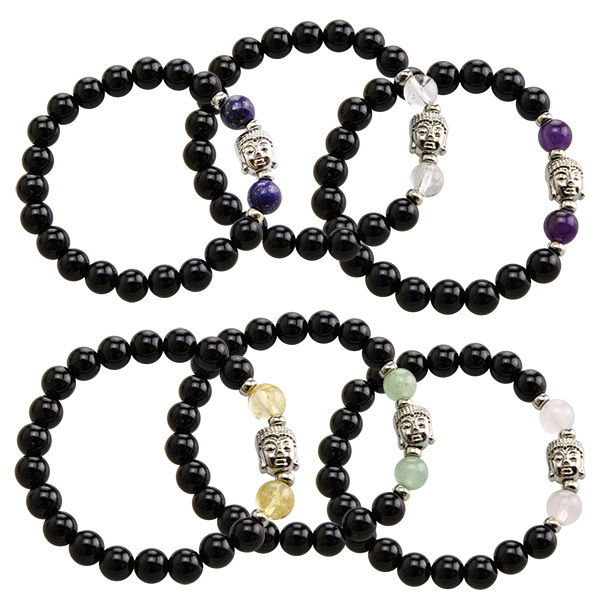 Buddha bracelets are stretchable bracelets with two featured gemstone beads such as amethyst, treated citrine, green aventurine, clear quartz, rose quartz and lapis beads surrounding a Buddha charm. 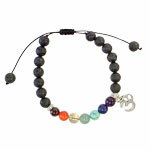 Accented with black onyx beads.